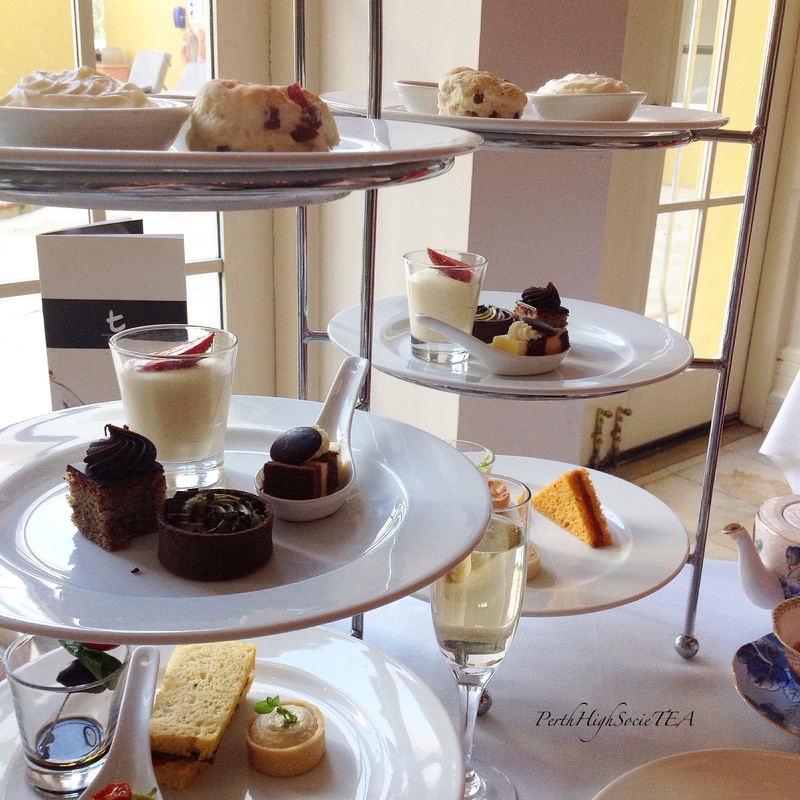 High Tea at the Pan Pacific hotel is served in the Conservatory restaurant. 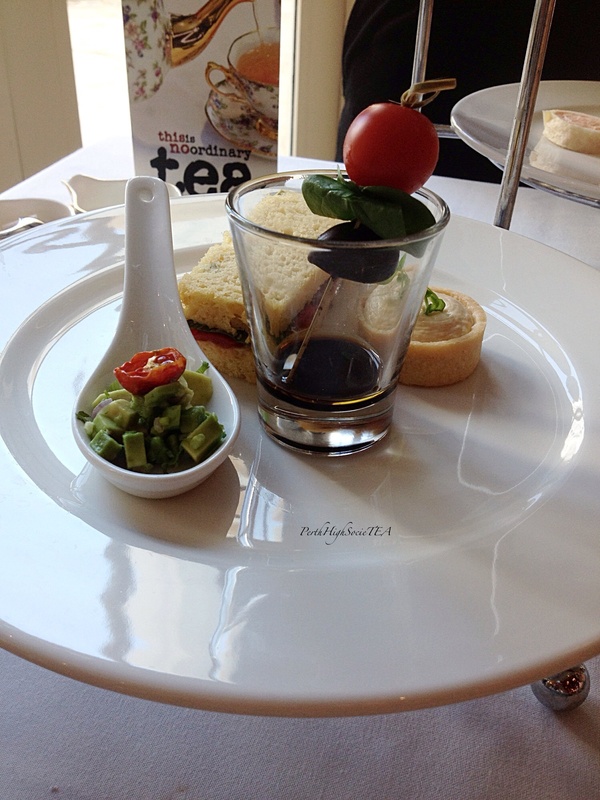 The menu boasts a contemporary, somewhat non-traditional take on high tea. The Pan Pacific is a four star hotel, and is located on Adelaide Terrace in the Perth CBD. The decor of the hotel and the lobby area is modern and stylish. The Conservatory restaurant is a decent sized space which is capable of accommodating quite a large number of guests. 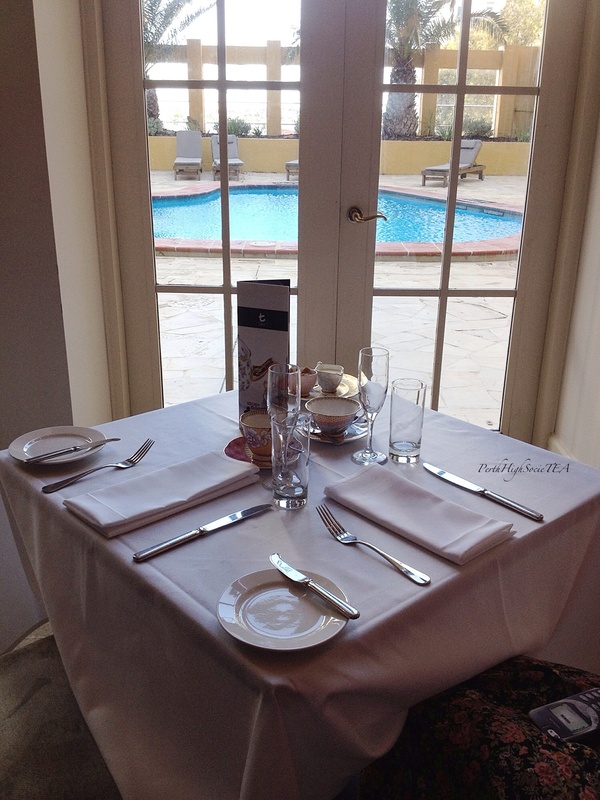 The Conservatory overlooks the pool area of the hotel, and our table happened to be right at the window. My girlfriend and I agreed that the pool area was in desperate need of some maintenance work. 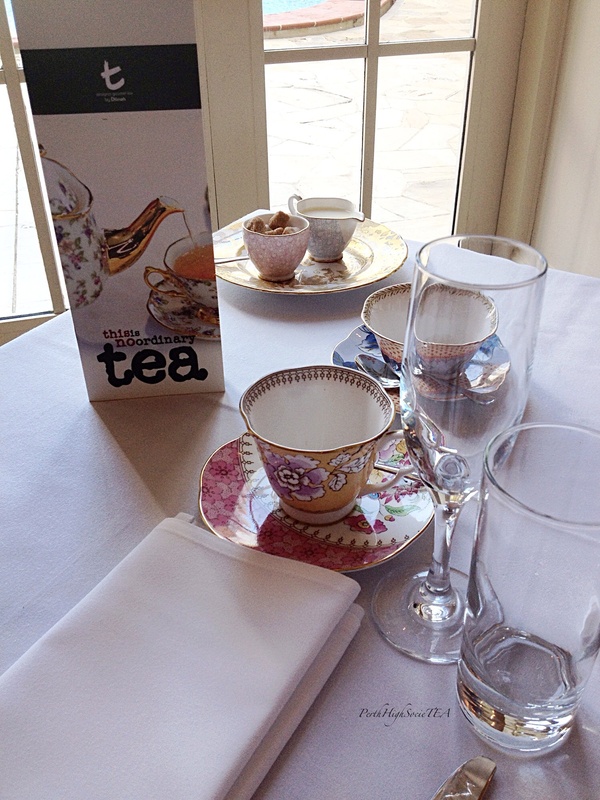 Our table was laden with gorgeous colourful tea ware, white napkins and polished silver cutlery. Apart from our first tea order and one sparkling wine refill, the service was no existent. At one point my girlfriend actually asked for another pot of tea, and the hostess never returned. When we went to pay, the hostess never even asked us if we enjoyed it. Perhaps they could read the unimpressed expressions on our faces and decided that it was best not to ask. Staff at the Pan Pacific need to learn a thing or two about hospitality service. My friend and I ordered the Rose and Vanilla tea. 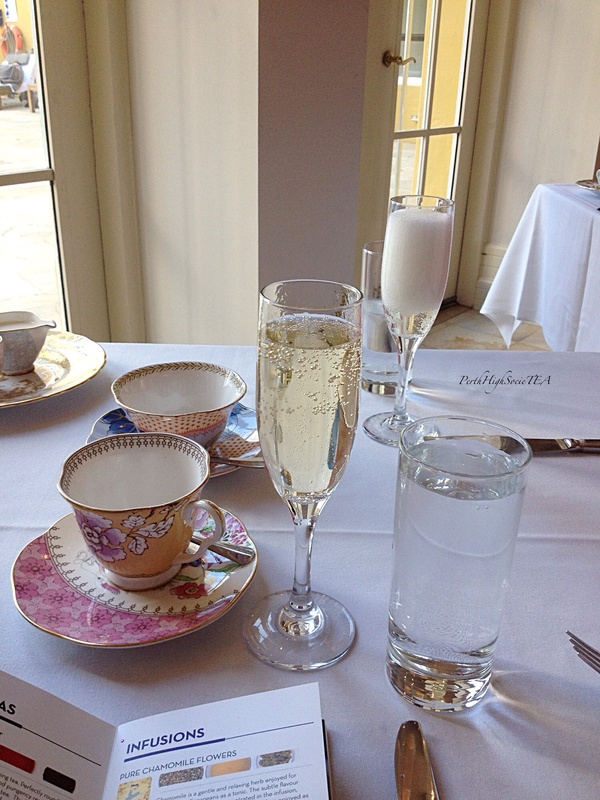 It wasn’t a particularly delightful tasting tea, so I opted to stick to my sparkling wine. The food was terrible. We received two plates of savoury food which included: a shot glass of balsamic vinegar accompanied by a skewer with a cherry tomato and an olive on it (DISGUSTING), a spoon of finely chopped avocado with red onion and coriander (which was the worst thing I’ve ever tasted), a red pepper finger sandwich that was so moist and soggy that the bread fell apart when I picked it up, and another spoon with finely chopped mixed vegetables on it. The only thing that was remotely tasty was the shot glass of cauliflower soup, however it could have used a good pinch of salt. I also received a cheese tart which I didn’t particularly enjoy. 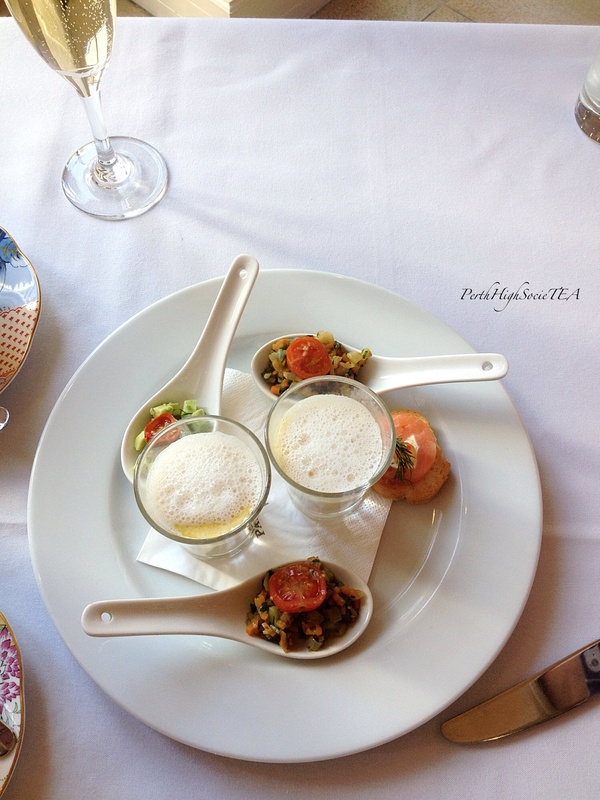 My girlfriend received her non-vegetarian option which included: A prawn cocktail, cauliflower soup, a seafood scroll, a ham sandwich and a savoury tart (which was the only thing she enjoyed eating). It was lucky that the sweets weren’t as horrible as the rest of the food. 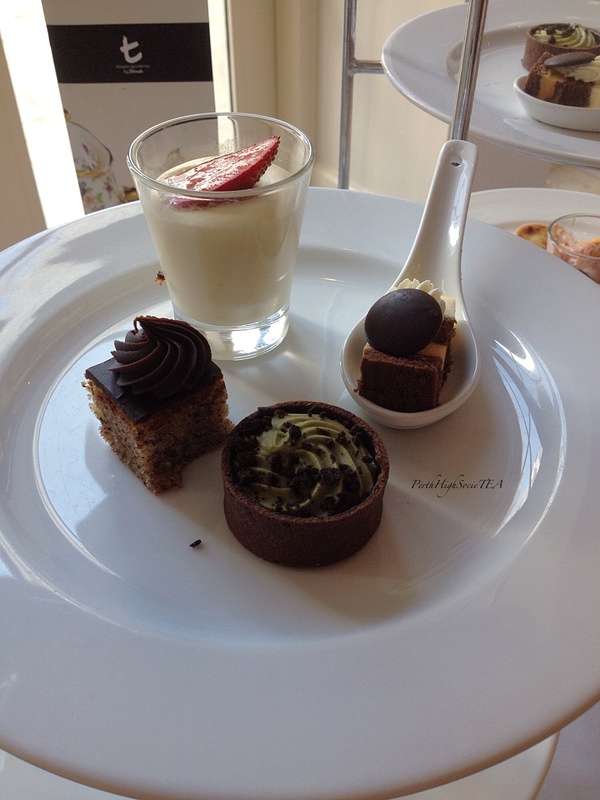 The selection included: Hazelnut and chocolate ganache cake, a chocolate and green tea tart, a chocolate and passionfruit cake presented on a spoon (enough with the spoons already! ), and a strawberry and white chocolate mascarpone. For $52 (which was the only option) you got a minimal amount of food. My girlfriend and I ended up going to Jus Burgers afterwards because we were still so hungry. A dismal experience. 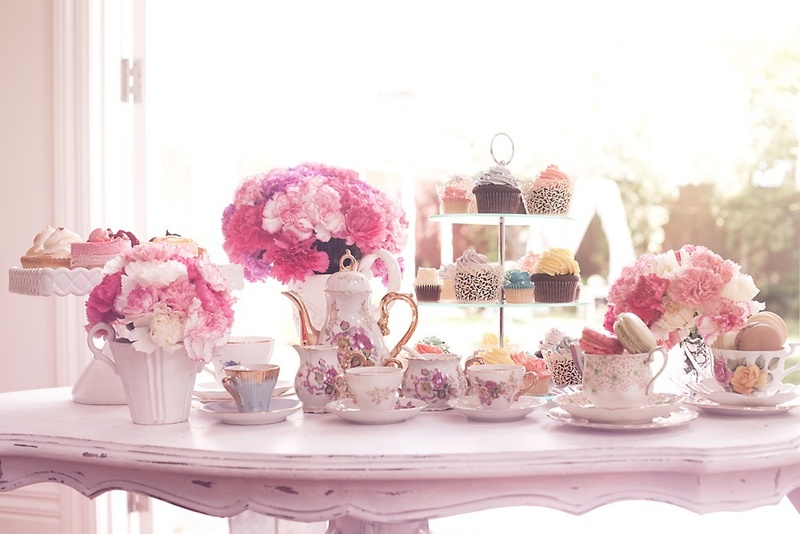 If you cannot execute a proper high tea, don’t offer it at all. Simple. The place was crowded and noisy, infants were crying and it was just a generally unpleasant atmosphere. 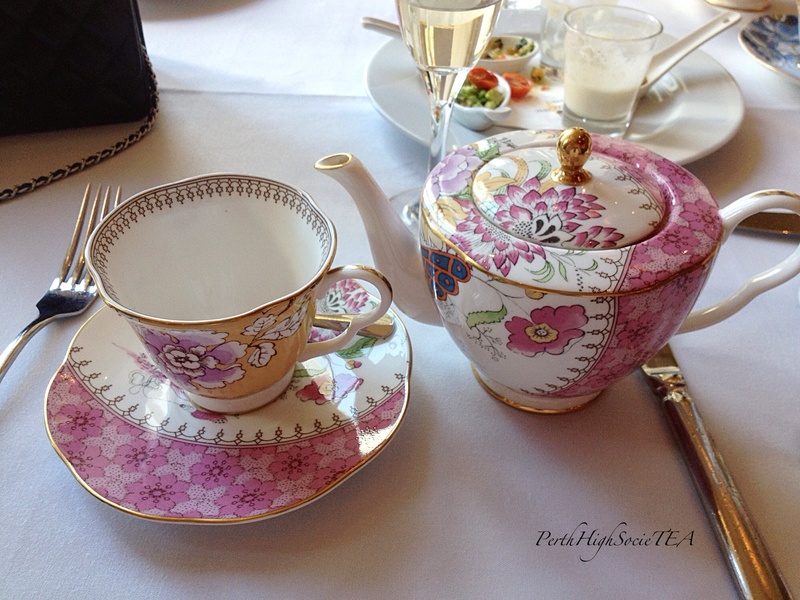 For $52, I wouldn’t recommend high tea at the Pan Pacific. 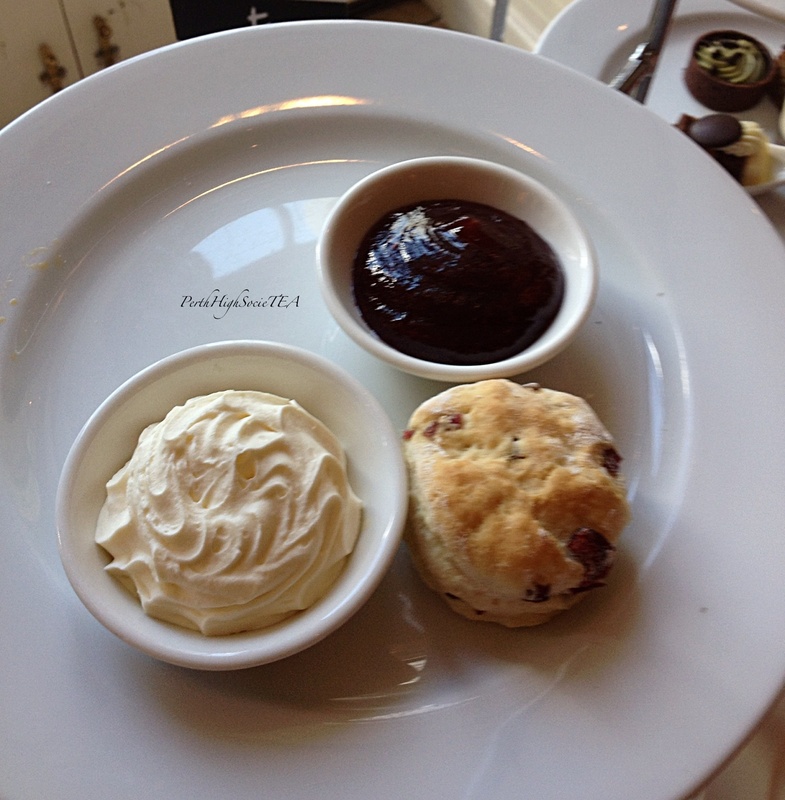 There are other much nicer and snazzier establishments that offer a more reasonably priced high tea. My friend and I left the Pan Pacific feeling totally ripped off and completely unsatisfied. My advice is to save your money for somewhere else. Address: 207 Adelaide Terrace, Perth.